Portrait of Esther De Berdt Reed, oil on canvas by American painter Charles Willson Peale (1741–1827). 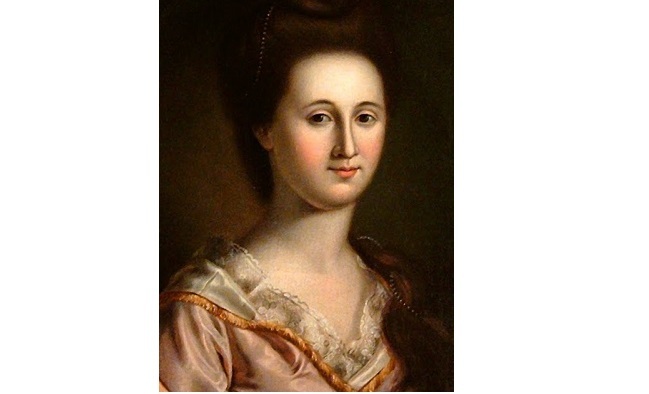 Image courtesy of the blog 18th-Century American Women. In early June 1780, soon after hearing the demoralizing news that the British had taken Charleston from five thousand American forces, a group of Philadelphia women led by Esther De Berdt Reed organized to provide relief efforts for the Continental army. On June 10 Mrs. Reed published a broadside, “Sentiments of an American Woman,” in which she called for women to donate money to support the patriots. Three dozen women went door to door through the city, canvassing for donations, and within a month the Ladies’ Association had raised $300,000 in depreciated Continental currency, worth about $7,500 in specie. The funds were used to make two thousand much-needed linen shirts for the soldiers, which were delivered by the end of the year. Unfortunately, Mrs. Reed didn’t live to see the completion of her project; she died in September 1780 of dysentery. When news of the Association’s success spread to Trenton, an anonymous writer wrote “The Sentiments of a Lady in New-Jersey.” Similar in tone to the Philadelphia broadside, the New Jersey “Sentiments” appealed to the patriotism of her neighbors by recounting atrocities that had occurred at the war: “the burning of Charlestown” (during the Battle of Bunker Hill) and “the wanton destruction of Norfolk and Falmouth” (the torching of Norfolk, Virginia, by Lord Dunmore and the raid of Falmouth—now Portland, Maine—by the Royal Navy). 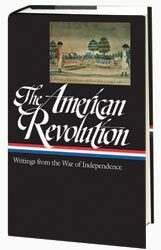 She also reminded readers of the atrocities directed against individual women: the death of Jane McCrea, believed to have been slain by Native Americans fighting with the British army (and whose killing would later serve as inspiration for The Last of the Mohicans), and the death of Hannah Caldwell, shot by a British soldier in her home New Jersey only weeks earlier. Evoking the success of the efforts of her counterparts in Philadelphia, she published the letter in the July 12 issue of the New-Jersey Gazette—and within three days this second association had raised more than $15,000 in Continental currency, which was forwarded to George Washington. Unfortunately, records of subsequent contributions have not survived, but other, similar associations soon appeared in Maryland, Virginia, and elsewhere. Note: In the closing lines, the letter-writer refers to two women who died after the battle at the Lake of Thrasymene. Described by Livy in The History of Rome, the episode occurred in 217 BCE when Carthaginians led by Hannibal ambushed and destroyed a Roman army in central Italy. The war carried on by the British nation against my native country cannot fail to excite in the humane and virtuous mind sentiments very unfavourable to the authors and instruments of such a variety of complicated evils and misfortunes as we have suffered in the course of it. . . . If you don't see this week's selection below, click here (PDF) or click here (Google Docs) to read it—free!